Well, well, well. It’s been a while between posts. Hi! How are you? It’s so nice to see you here. Thank you for sticking around. Or coming back. Or visiting for the first time! Life’s been interesting, and between work and the ‘interesting’ life balance, I haven’t had anything left in the tank for blogging for a while. But I’m trying to get this engine going again. So I thought I’d start this return to blogging with an emhawkerblog staple: a book review. 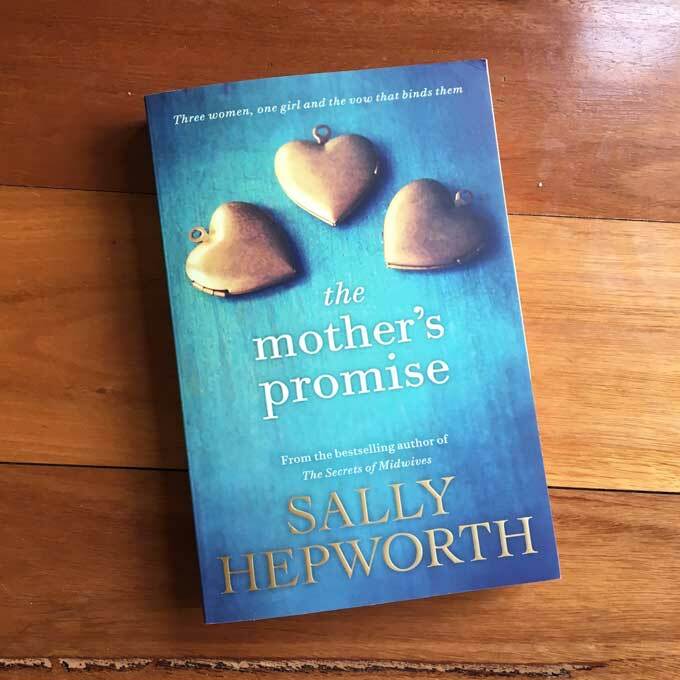 Here are my thoughts on Sally Hepworth’s The Mother’s Promise. Alice and her daughter Zoe have been a team of two all their lives. They have no family to speak of, and the identity of Zoe’s father remains shrouded in mystery. They’ve never needed anyone else – until Alice gets sick. Desperate to find stability for Zoe, Alice reaches out to two near-strangers: Kate, her oncology nurse, and Sonja, her social worker. As the lives of the three women become inextricably tied, a chain of events is set into motion, forcing them to confront their deepest fears and secrets. This book is about a lot of things: love, lust, power, love, fear, pain, compromise and love. And love. Yet it’s really about one thing. It’s about relationships, and all that they can possibly encompass. The subject matter of The Mother’s Promise might be confronting for some. 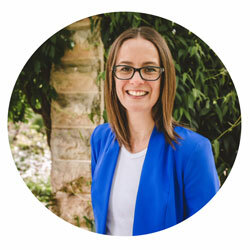 Cancer, relationships, family violence, anxiety – tread carefully if these are difficult topics for you. Alice and Zoe’s unique mother-daughter relationship is the focus of the book, as Alice tries to simultaneously shield Zoe from, and prepare her for, the devastating effects of her illness. Zoe suffers from anxiety. As someone who feels anxious from time to time but who, recent ‘interesting’ life developments aside, had not lived day-to-day with the crippling effects of anxiety, Zoe’s character was a revelation. I recognised each of the feelings she shared, but usually as separate, disparate individual moments of emotion, generally proportionate to my experience. I enjoyed the chapters that showed Zoe at school, or with her friends. The teen conversations felt real. Instead of halting, dumbed-down versions of adult-speak, the book is filled with teenagers-are-real-people-dealing-with-real-issues-speak. I like it. I saw the ‘twists’ coming, but Hepworth’s handling of them is wonderful with just the one exception. I don’t do spoilers, so I’ll use an analogy close to the heart of parents everywhere: Frozen. Remember when Anna and Hans first meet? They’re chatting by the water, the church bells ring, Anna runs off to the coronation, and Hans falls into the water and unleashes a goofy, loved-up smile. Later on, when Hans’s true motives are revealed, you can explain every action he took in pursuit of the kingdom of Arendelle except that smile. There’s one of those inexplicable misdirection moments in here, too. It bothers me more than it probably should. Once Zoe’s mum had asked her to describe what it felt like being her. For a heartbeat she’d considered telling the truth. Mrs Logan was the brand of therapist that just sat there and waited for you to talk. Perhaps not the best strategy for someone with a pathological fear of talking to people. It occurred to Kate how easy it must be for someone who was uncomfortable with social interaction to become isolated in the world. She also realised how easy it was to overlook the value that person could bring. Alice wanted to tell her No, it’s fine, you go on back to work. Instead she smiled and accepted the offer from the woman that she wanted so much to hate. It was agony, waiting for someone else to make the most important decision of your life. This is the second of Hepworth’s books I’ve read, having read and enjoyed The Things We Keep last year. I’ll be adding her debut, The Secrets of Midwives, to my already overflowing to-be-read pile. If you enjoyed Meredith Jaffe’s The Fence (which I reviewed last year), you’ll enjoy this. You might even recognise the opening lines of this review, because the themes overlap. You can purchase The Mother’s Promise from Booktopia here, and find out more about it from the publisher, Macmillan. Have you read The Mother’s Promise? What did you think? * This is not a sponsored post. I received a copy of The Mother’s Promise from Macmillan for the purposes of review. All views are my own. Some of the links in this post are affiliate links. If you click to purchase the item, I earn a little commission, but you don’t pay any extra. Welcome back! I clearly need to get onto Sally Hepworth’s books asap. I’ve heard many good things. They’re certainly engaging! I almost missed my train station a few times. I have missed your gorgeousness too! Thank you. I really enjoyed this book. She writes women really well. I saw you were reading it too. Will you be reviewing it? Wow! Sounds like a good read! I’m tempted to buy as my next book to read. I’d love to know your thoughts if you read it! Enjoy! Would love to hear your thoughts. I want to read this but I’m not sure if I can due to the subject matter for personal reasons. I’ve picked it up a few times in the bookshop but put it down. I think I’ll wait till my library has it, that way if I’m not handling it I can just return it. Oh, I’ve seen it plenty of times, but it bothered me from the first moment. It doesn’t fit with his character at all – unless he’s trying to fool his horse?! AAAH another book to add to my list. I’ve started The Good People but need to get back reading again. All the books! ALL THE BOOKS!